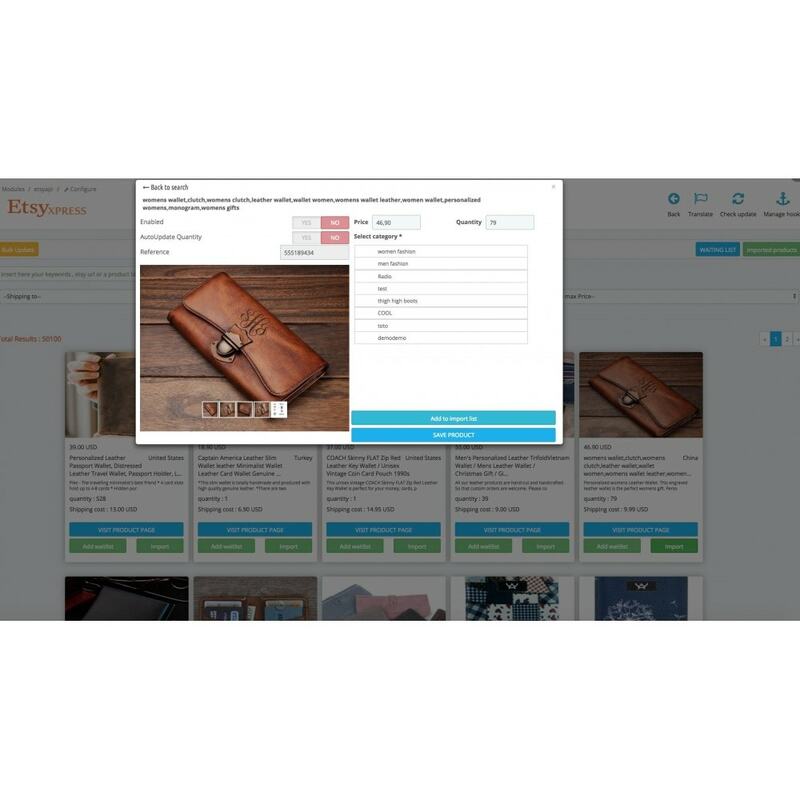 EtsyXpressApi Import module is a smart module designed to achieve import & search operations from Etsy.com to your store . 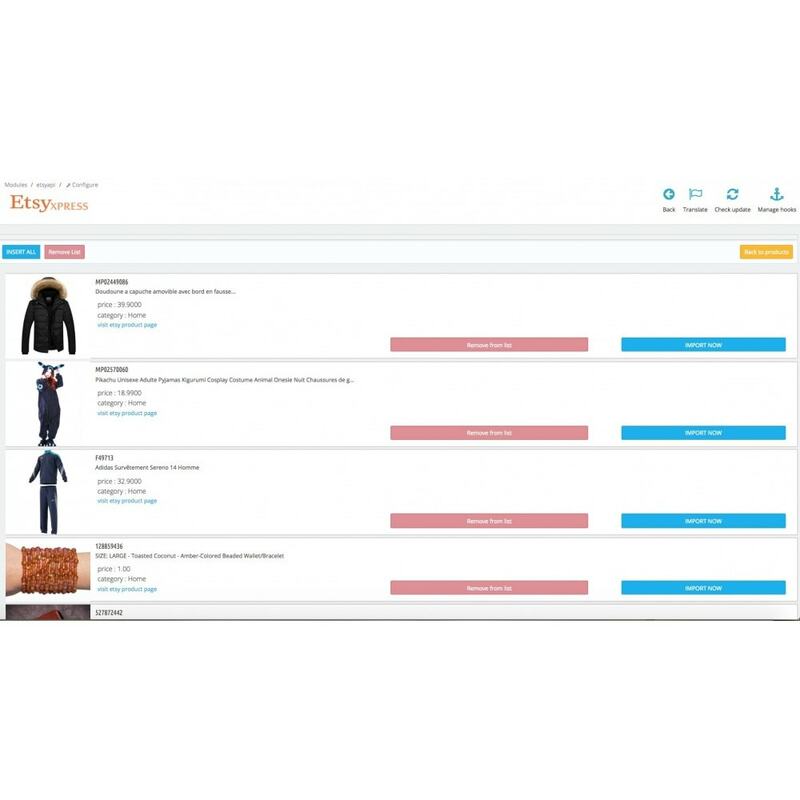 EtsyXpress is a plugin that used to import products from Etsy Into your store in Prestashop , Import any products you like and in few clicks you have a product ready to sell . Products imported with all data needed like title,description , quantity ,price, images . We provide also all SEO data like rewrite-url , keywords,metaTitle, metaDescription . Our search engine offer a millions of products in result , you may use many filters included like categories , price , language or just a keyword or productId . For more details see the preview video or enter to the demo store .EtsyXpress plugin is based on the official Etsy API. 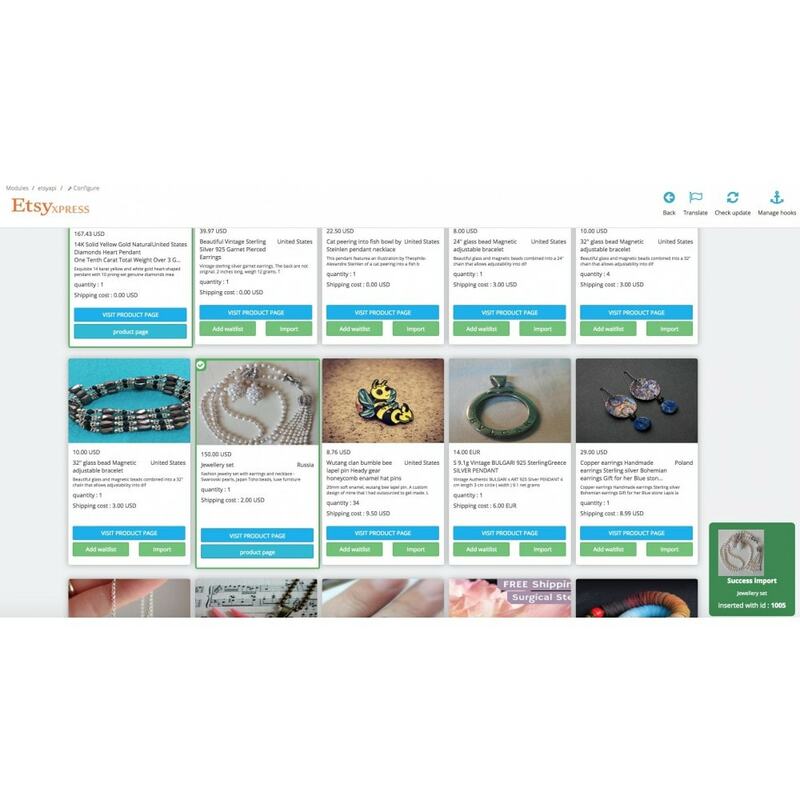 Full features listSearch Etsy products by keywords , url or Product ID. 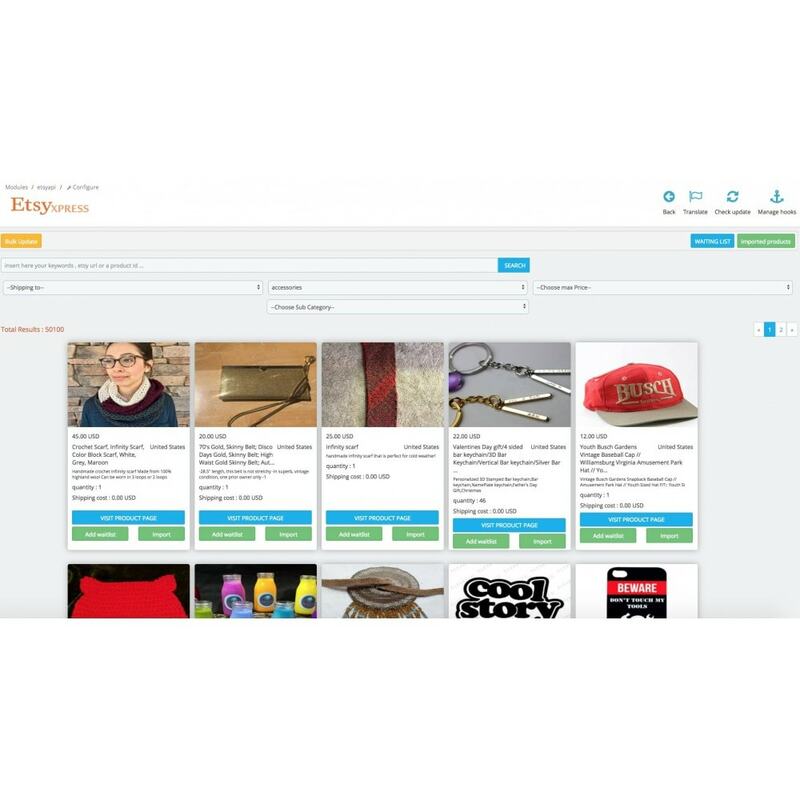 Search Etsy for products by different filters: keywords, category, price , feedback score, high quality items. 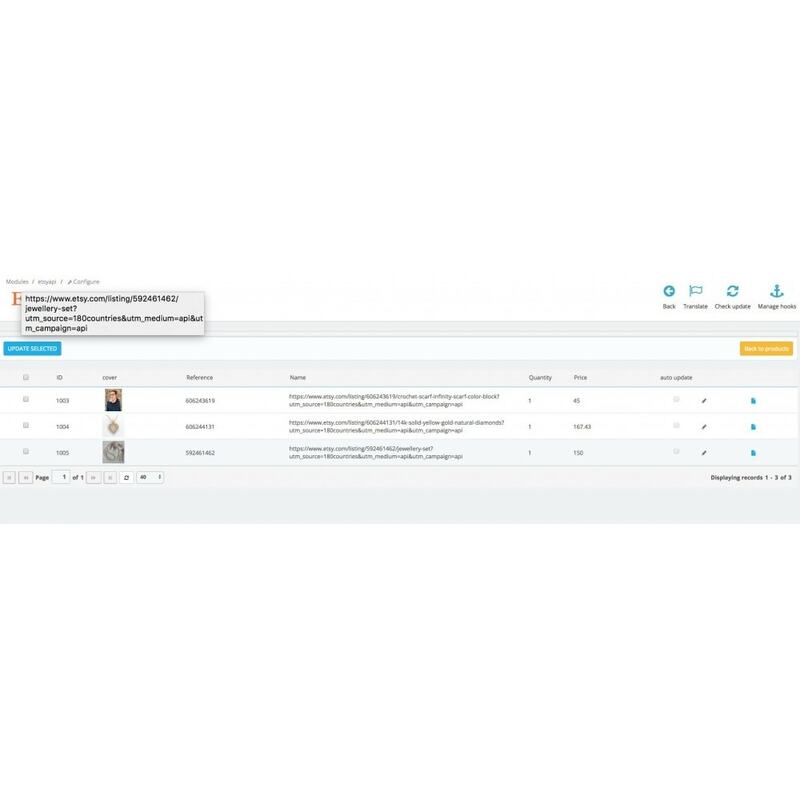 Paginated results with lazy loading requests .Import Product in two click . Possibility to create a list of product waiting to import . Find links to Etsy product and seller pages on the admin catalog product .